29/08/15. Shaqlawa, Iraq. 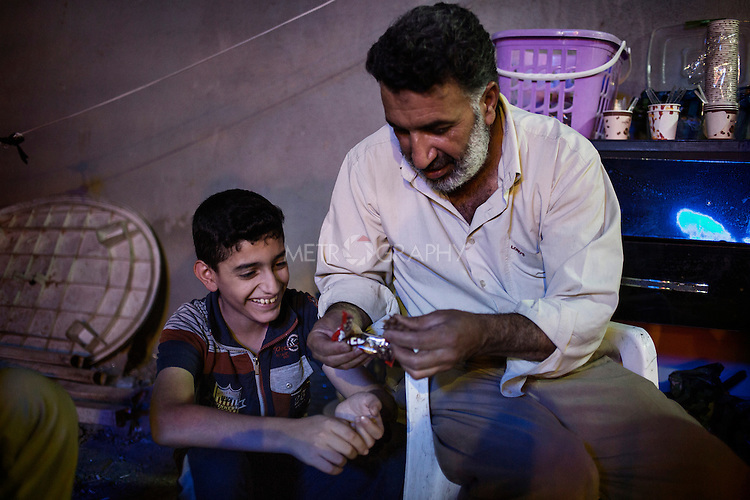 -- Ali, 50 y.o., also known as Abu Chai (the father of tea) arrived from Falluja in January 2014 and now lives in a room that costs 600.000 IQD per month. Having only one son, Omar - who is 12 y.o. (left) among his 6 children, Ali is the only one in the family that works. He sells cups of tea for 500 IQD each at the centre of Shaqlawa.